The match PSG – Bordeaux in the Champions Trophy of the Professional Football League (LFP) will take place tomorrow in Libreville, Gabon. The LFP had already relocated the meeting in cities such as Montreal, Tunis, Tangier and New York, but not in sub-Saharan Africa. Stars like Ibrahimovic, Pastore and Lavezzi will walk on the stadium of the Sino-Gabonese Friendship’s field, located in Angondjé in the northern suburb of Libreville. A stadium with a capacity of 40,000 seats opened in 2011 at the occasion of a Gabon-Brazil match that already said a lot about the ambition of the Gabonese leaders. An emerging country is a country that thinks to all the sectors of activity and sport has become essential in the development process. “We organize the sport in a country to allow citizens to have a personal development, sports results and medals at major competitions come later “said Joseph Antoine Bell in the columns of Africa 24 Magazine. Unfortunately, African authorities tend to underestimate the impact of sport. 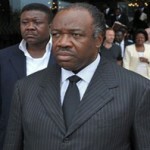 The Gabonese President Ali Bongo has meanwhile taken the lead on the subject since his taking office. He has attended several conferences on sport and draws inspiration from the Qatari model, the kings of communication through sport. The Gabonese government since 2010 is working with Havas Sports & Entertainment, a communications agency specialized in sport. Three years after the start of this collaboration, the result is in his favor. Measures have recently been taken to organize and energize the Gabonese sport. No doubt that the match of tomorrow will be one more step in the project that Mr. Bongo tries to put in place to make of his country a future emerging nation. His counterparts could learn from him. PSG or Bordeaux? Join us tomorrow for the game from 6.30 p.m. to discuss! Feel free to leave us comments; we keep a place for one of you in our premises to watch the match, if you live in Lome. Next post Top 14-Stade Français: the South African van Zyl uncertain for the resumption!